Most data center professionals view 3D data center visualizations with a jaundiced eye. They see 3D as a gimmick that may look flashy but ultimately doesn’t provide any relevant or helpful information. In Data Center Infrastructure Management (DCIM) software specifically, 3D floor map visualizations are thought to simply be resource intensive and add load without value. 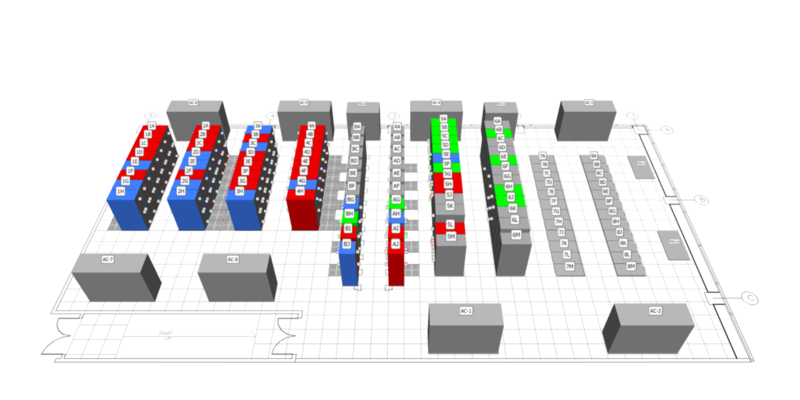 Keeping in mind all these myths around 3D in data center management software, can 3D floor map visualizations ever be useful, or are they always just for looks? Our Director of Product Marketing James Cerwinski addresses this topic in an article in Enterprise Management 360° (EM360°) Tech Magazine. Titled “Think 3D in Your Data Center is Just Eye Candy? Think Again,” this article explores key characteristics that differentiate useful, information-enhancing 3D data center visualizations from superficial, 3D gimmicks and how the former can help data center managers make faster, more accurate data-driven decisions. EM360° Tech Magazine is a digital publication by EM360°, which produces and delivers engaging content and tailored communications aimed at C-level executives, management, and IT leaders across a global audience. In fact, 3D data center visualizations have the potential to simplify data center management, accelerate data analysis, and even be better than physically being present in the data center. Want more from James? Read the article here.